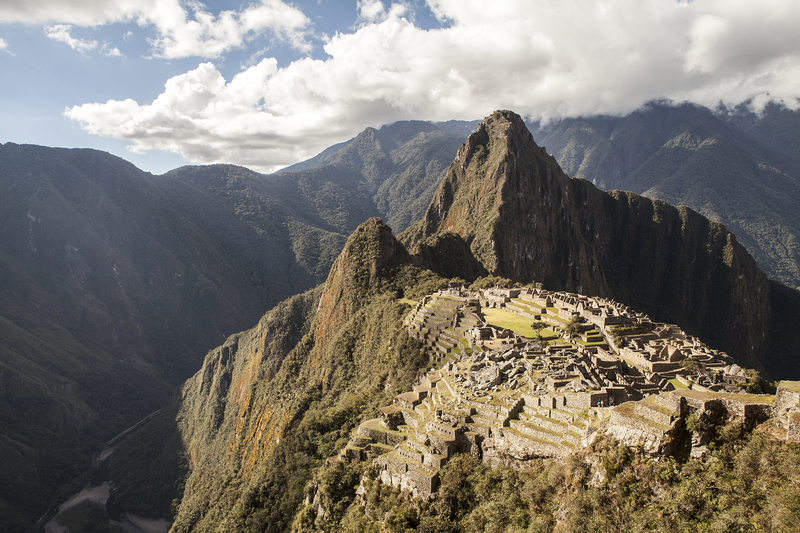 Machu Picchu has deservedly captured the world’s attention and its UNESCO World Heritage Site tutelage, but do you know why it was built or what flora and fauna you may spot while there? How about the details behind its ingenious construction or how exactly it managed to evade the Spanish conquest of South America? 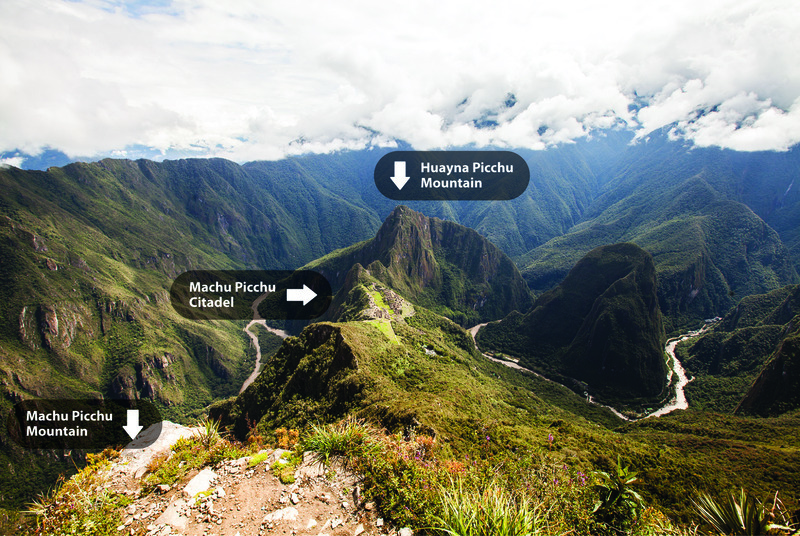 Consider this blog post your Machu Picchu tour primer. Here are 5 interesting Machu Picchu facts to wow your adventure travel buddies with during your holiday in Peru. Machu Picchu is the name of the mountain, not just the citadel. In fact, Machu Picchu literally means “old mountain” or “old peak” in the native Quechua language of the Incas. 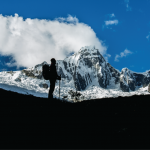 Throughout your tour of Peru, you’ll come across many Quechua-named peaks and ruins, including several prime examples along the Inca Trail trek to Machu Picchu. Machu Picchu is an important habitat for South America’s only bear species. 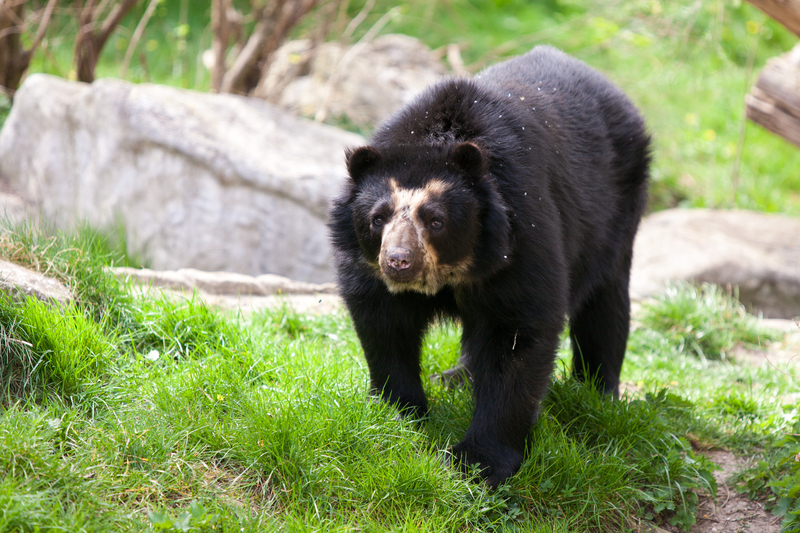 Known as the Spectacled Bear or the Andean Bear, this vulnerable bear species is sometimes spotted climbing Machu Picchu’s terraces or feasting on the flora and flora around the ruins. Its name comes from the yellowish or whitish patches that surround its eyes like spectacles. 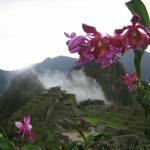 Machu Picchu is home to more than 400 types of orchids. You could say that Machu Picchu is the land of the orchids. Its humid cloud forests and rain-prone weather are the ideal climate for orchids to thrive. 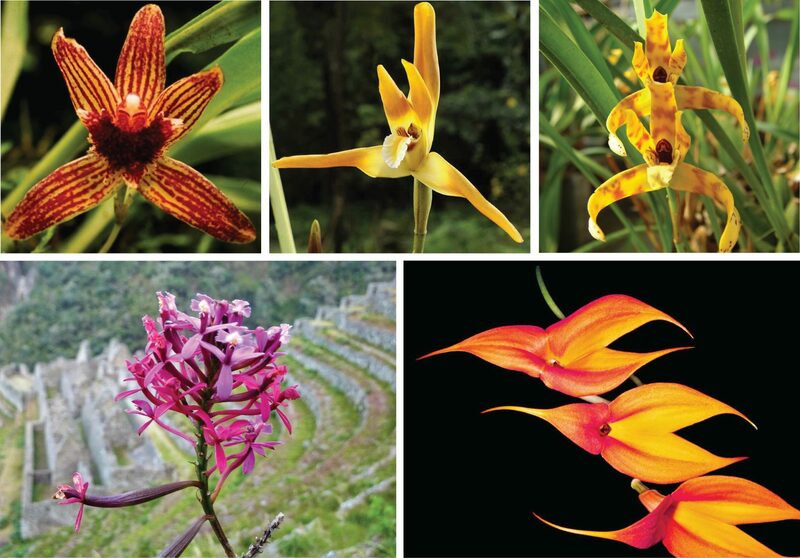 In the Machu Picchu reserve alone, you can literally find more than 400 different types of orchid. It’s also been said that the Incas once cultivated these stunningly diverse flowers centuries ago. Machu Picchu can’t be seen from below. This Machu Picchu fact is one that saved the beautiful citadel from being discovered by the Spanish, one of the only Inca-built sites to survive the conquest. From below, there’s absolutely no hint of the spectacular stone terraces, temples, and structures masterfully resting at the mountain’s peak. Machu Picchu sits on top of two fault lines. As a result, the Incas employed a mortar-less technique known as ashlar to construct Machu Picchu. Every stone was cut to fit snugly together with the ones next to it. When an earthquake occurs, the stones bounce with the tremors and then safely fall back into place, a feat of engineering that has preserved the citadel for us to explore and experience today. For more fascinating Machu Picchu facts like these, consider booking a Machu Picchu tour and trek with Explorandes. Our expert adventure tour guides are well-versed in the history, nature, and culture surrounding this ancient world wonder. Hi, recently myself, Gerry (Gato 62), my wife Cheryl (52)and our friend Shelly (61) hiked the Inca Trail! It was everything and more than we expected…We got lucky with the weather, as we had a short drizzle on one day, therefore the skies were clear and we had breathtaking views!! The pace was perfect as set by our guides, Orlando Ugarte Cavero (The Bear) and Juan Jincho Arago’n. Their knowledge of the culture, the history, and their love for what they do, made these two guys exceptional guides!!! 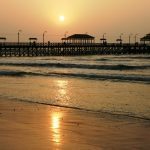 Every morning we were awakened with a tray of tea or coffee, and a tub of hot water…after a wonderful day of walking we were greeted with hot water again to freshen up prior to a fantastic Peruvian supper. 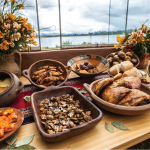 All of the meals were different every day, and were as good or better than the food you get in the restaurants!!! I would highly recommend Explorandes, as only 500 people per day are allowed on the Inca Trail and Explorandes route and timing avoids the crowds!!! 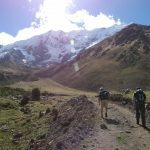 We will be back to hike some more trails with Exlorandes, and will request the same guides…Juan and Orlando, as they love what they do, which makes it way more enjoyable for everyone!!!! !